As usual: I hope I got it right, machine translated patents are not easy to interpret. Any help appreciated. 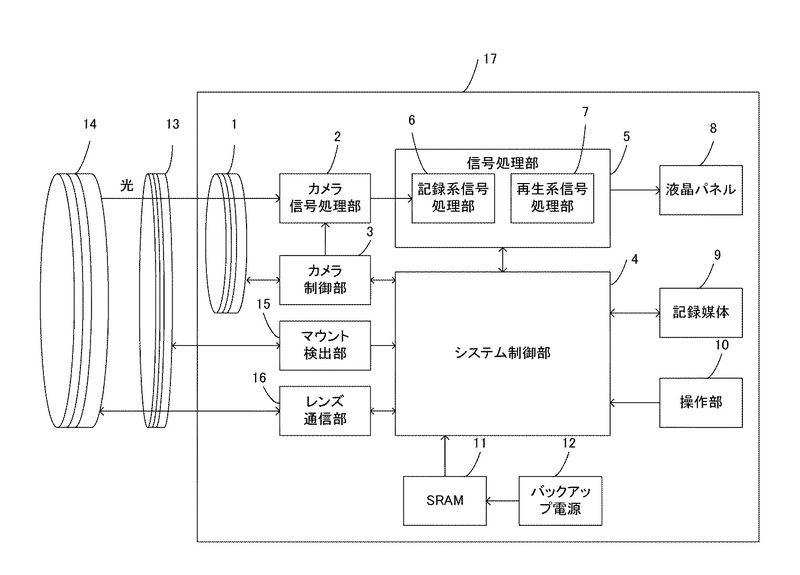 Canon patent for a camera with exchangeable mount. Not entirely sure about this patent. Does it mean you’ll be able to easily change the mount type on your camera? Does it mean I will be able to mount some hot Canon “L” lenses natively on a future Canon mirrorless camera, i.e. without using an adapter? An imaging device carrying out registration cancellation of all or a part of item registered into my menu, or performing an update process carried out to an invalid display while the aforementioned management tool makes an item without necessity a non-display or invalid display by classification of mount distinguished by the aforementioned discriminating means among items of a menu. [Claim 2] The imaging device according to claim 1 when an item made said non-display or invalid display is registered into my menu in the aforementioned update process, wherein the aforementioned management tool carries out registration cancellation of the item from my menu or makes it an invalid display. The imaging device according to claim 1 or 2 characterized by performing the aforementioned update process when it judges with the aforementioned management tool having had mount exchange by the aforementioned judgment means. [Claim 4] While making an item without necessity non-display in the aforementioned update process by classification of mount distinguished by the aforementioned discriminating means among items of a menu, the aforementioned management tool, An imaging device of a description in any 1 item of Claims 1-3 characterized by carrying out registration cancellation of the item from my menu when said item made non-display is registered into my menu. [Claim 5] The imaging device according to claim 4 which the aforementioned management tool is in a power turn state of the imaging device, and is characterized by making an invalid display an item which judges whether an item on display has an object of an invalid display, and is the target of an invalid display. [Claim 6] The imaging device according to claim 3 characterized by the aforementioned management tool performing the aforementioned update process when the aforementioned discriminating means distinguishes classification of mount at the time of a power turn of the imaging device, the aforementioned judgment means judges mount exchange and it judges with there having been mount exchange by the aforementioned judgment means. [Claim 7] The imaging device according to claim 6 characterized by rebooting the imaging device when the aforementioned discriminating means distinguishes classification of mount in the power turn state of the imaging device, the aforementioned judgment means judges mount exchange and it judges with there having been mount exchange by the aforementioned judgment means. [Claim 8] The imaging device according to claim 3 characterized by the aforementioned management tool performing the aforementioned update process when the aforementioned discriminating means distinguishes classification of mount in the power turn state of the imaging device, the aforementioned judgment means judges mount exchange and it judges with there having been mount exchange by the aforementioned judgment means. [Claim 9] An imaging device of a description in any 1 item of Claims 1-8 provided with an initializing means which returns all or a part of item of a menu to an initial value after the aforementioned update process by the aforementioned management tool. The aforementioned judgment means by comparing type information of mount memorized by classification and the aforementioned memory means of mount distinguished by the aforementioned discriminating means, before memorizing type information of mount distinguished by the aforementioned discriminating means to the aforementioned memory means, The imaging device according to claim 3 judging mount exchange. The imaging device according to claim 3, wherein the aforementioned judgment means judges mount exchange by comparing a communication method determined by the aforementioned determination means with communication method information memorized by the aforementioned memory means before memorizing communication method information determined by the aforementioned determination means to the aforementioned memory means. About a menu including a plurality of items and my menu which registers an item which a user chose among items included in a menu, A control method of an imaging device having a step which carries out registration cancellation of all or a part of item registered into my menu, or makes it an invalid display while making an item without necessity a non-display or invalid display by classification of mount distinguished [ aforementioned ] among items of a menu. A program performing an update process which carries out registration cancellation of all or a part of item registered into my menu, or makes it an invalid display while the aforementioned management tool makes an item without necessity a non-display or invalid display by classification of mount distinguished by the aforementioned discriminating means among items of a menu.